Who doesn’t like snowfall? Snowfall takes us to our childhood days. Making snowballs and throwing at each other, lying down on the snow to make snow angel and last but not the least the snowman. A child who has made a snowman is so lucky. Experiencing a snowfall is just amazing. A feeling that you can’t express in words. By now you might have started planning in your mind to visit a place where snow falls. Don’t think too much. Here I have given the name of ten Best places in India where you can experience snowfall. Not only that you get a complete guide about those places in this article. 1. Auli: IF YOU LOVE SKING! AULI IS YOUR PLACE. Auli is situated in Chamoli district of Uttarkhand. April to June – Visit if you like pleasant climate. October to February- Visit to experience snowfall and a picturesque fairytale view. January to March- Visit if you love skiing. 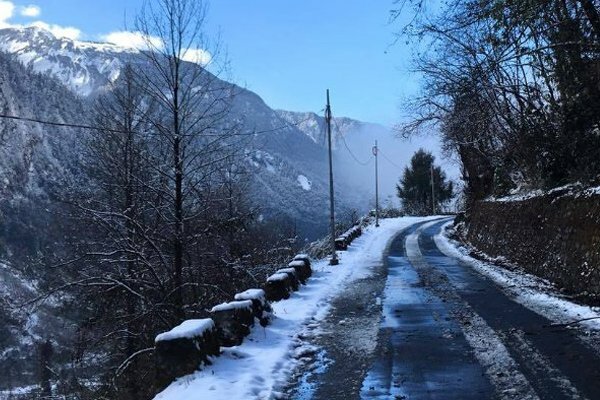 A heavy #snowfall was recorded in the upper reaches of #Gangtok on Wednesday morning. Where is it : Gangtok is situated in East Sikkim of Sikkim. Where is it : Pahalgam is in Jammu and Kashmir. March to June: Visit to experience pleasant weather. July to September: Visit for Amarnath Yatra. October to February: Visit to experience mesmerizing snowfall. 4. Manali: INDIA’S MOST BEAUTIFUL RESORT TOWN. 5. Shimla: THE QUEEN OF HILLS AND SPLENDID BEAUTY OF NATURE. Trek to the Jakhu Temple. October to February- This is the time people come to Shimla to enjoy snowfall. November to March – Visit Kufri at this time of the year to enjoy snow fall. 8. Munsiyari: DOING JUSTICE TO IT’S NAME, IT IS A BEAUTIFUL ABODE OF SNOW. October to February- Visit to enjoy snowfall. Before you go to any new place, it is good to know about it well. Good Knowledge gives you Great Satisfaction!